RUSH: Trump’s trip to visit the ChiComs specifically has been a grand-slam home run that you’re not gonna hear about. Trump knocked this whole trip to the ChiComs out of the park, and the rest of it as well, but specifically the time and attention that he gave to the ChiComs here, he just hit the ball out of the park precisely because he knows how to negotiate with them. He knows what is important to them. He had his granddaughter, 6 years old, that sang and recited poetry in Mandarin, and the Drive-Bys thought, “What a cheap show. What an absolutely cheap show. That’s beyond the presidential pale. How transparent can that be, having his 6-year-old learn Chinese just for this trip? That is child abuse,” is sort of what they were saying. It turns out that that was a fundamental and key element to the success of the meetings with the ChiComs. THE PRESIDENT: The relationship is always important. It doesn’t mean it’s necessarily close. It’s really a relationship based on respect. To me, a relationship based on respect is much more important than anything else, including friendship, because this is really something. They have to respect our country, and they have not respected our country for a long period of time. RUSH: Now, this is really key, folks. That may sound like a — not quite a throwaway answer, but he is really, really on to something here. The difference between respect and friendship. Now, the left, their attitude about world affairs, global security and so forth is that the United States poses the greatest problem. (interruption) No, no, no, no. They really do. They pose the greatest problem because we’re the superpower. We have the biggest arsenal. We have more nukes than anybody else. We’re the only nation on earth that’s ever used nukes. RUSH: How many of you remember during the presidential campaign, particularly Trump’s rallies in his campaign when he would constantly appear to be criticizing the ChiComs? He called ’em essentially… Well, he didn’t call ’em cheaters, but… Well, maybe so. He talked about what they were doing to us, how they were unfair in trade, how their currency manipulation was very harmful and damaging. And then he lashed out at American political leaders for being stupid idiots for doing the deals they had done with the ChiComs. Now, I had a lot of people during those instances say, “I wish he’s shut up about that. We don’t want make them mad! You don’t talk about them that way.” I said, “No, no, no, no. You’re missing the point. Talk like that does not make the ChiComs mad; it makes them smile.” When Trump runs around and basically says, “The ChiComs are running rings around American leaders and that’s enabling them to really manipulate things in their favor,” they smile. They like being acknowledged as winners. They like being acknowledged at smart and brilliant and people that prevail. Now, the American way of looking at negotiations with foreign powers who might be said to be enemies is you try to come up with a deal. What’s the typical deal? The typical deal is where both sides give something up, or both sides are traditionally unhappy with it but they get a compromise, and that’s said to be a good deal. That’s not how the ChiComs do it. The ChiComs do not give up anything in exchange for some sort of agreement. That’s not their mentality. The ChiCom mentality — no matter what they do — is win, win, win, which happens to also be Trump’s. The ChiComs, whatever it is — whatever foreign international deal, treaty, arrangement, negotiation, whatever it is — if they don’t benefit from it (and to hell with whatever else happens to anybody else) they’re not gonna do it. The ChiComs do not think like westerners do in the sense that, “Well, you give a little here and you get back something here and you end up with a deal where none of us get all that we want. “But we each get some or enough that we’re happy.” That’s not how they go about it. They don’t give up anything. There’s no reason for ’em to. They don’t think that way. That’s not in their vocabulary. That’s not in their mind-set whatsoever. So in negotiating with them, you have to understand that about them. You still have to have arrangements, deals, what have you. And that’s why Trump talked about respect in this sound bite being far more important than friendship. To the left, friendship with our enemies, “That’s so important! “If we can make them like us, they won’t provoke Trump into nuking them. If we can make them like us, we’ll be safer.” All of this namby-pamby stuff. But that’s not how you deal with the ChiComs. If it doesn’t benefit ’em, whatever you’re trying to get done, they won’t do it. Let’s look at North Korea. North Korea is the third party here. What does Trump want? Trump wants North Korea silenced, shut down, stopped, what have you, without having to fire a shot. Trump thinks that the ChiComs can do it. But they’re not gonna do it just because you ask them to. They’re not gonna do it if you try to leverage them into doing it. They’re not gonna… Whether the Norks are their allies or not, the ChiComs are not gonna do anybody a favor to make the world safer or anything else. They’re not just gonna do a favor. There’s got to be something in it for ’em before they’ll do anything like that. And so you have to come up with something that benefits the ChiComs that also accomplishes something that you want. You have to come up with something that once it’s done and over with, the Chinese can run around say they won or they got a great benefit or what have you. So what was the benefit? The benefit that Trump established with the ChiComs was acknowledged and favorable trade outcomes. Remember, Trump began negotiating with the ChiComs during the campaign. He laid down the law. He told the ChiComs that they’re cheaters. He told the ChiComs they’ve been running roughshod over the United States and those days are gonna end. When Trump’s in the White House, the ChiComs aren’t gonna get away with this because the days of stupid Americans are gonna be over — and he focused on trade. Remember, everybody was saying, “Why so much focus on trade? What’s the big deal? NAFTA here every day, trade?” ‘Cause that’s where Trump was gonna go to get what he needed out of the ChiComs. So after two years of publicly threatening the ChiComs with tariffs and all kinds of frozen trade opportunities, the North Korean situation presented an option, and it was used. Trump was able to propose normalizing trade arrangements that were beneficial to the ChiComs, not as beneficial as they had been. It was a far different Trump from what was on the campaign. He appeared to be giving up significant ground when he hadn’t at all. He’d been asking for much more than he was ever gonna ask for during the campaign. In exchange for this new Trump, this reasonable Trump that was proposing normalized trade relationships and agreements, Trump secured an agreement from the ChiComs to deal with the North Koreans a little bit more strictly or beneficially to the world and America than they had been predisposed to. I don’t know what the final result of all they was, but I know what the objective was. The objective was for Trump to lean on Xi Jinping to essentially eliminate the North Korean threat. But they’re not gonna do that just because you ask ’em. They certainly not gonna do it if you demand it. They’re certainly not gonna do it to make the world safe or anything. They don’t care about that. All they care about is when it’s all over being able to say they won or that whatever happened, they benefited from — and if friendship is your objective, you’re never gonna pull things like that off. But respect is a whole different thing, and that is what Trump was saying in that bite with the media on the trip to Air Force One back to the United States. One little semi-related story. You heard about the three UCLA basketball players that were also in China? They’re being held in jail for shoplifting? All during the weekend, the stories about this were dire, that Trump — the American State Department — was not phone succeed in getting these guys out of prison or out of jail or what have you. The ChiComs wanted to drop the hammer. You don’t do this. You don’t come over and shoplift from them. They jail Chinese citizens who do it. Well, after the conversation that Trump had with Xi Jinping, this guy who has amassed Mao-style power now… He’s the most powerful ChiCom leader since Mao Tse-tung — or, I’m sorry, Mao Zedong. (They change the guy’s name pronunciation frequently.) Everything Trump had his personal conversation with Xi Jinping, these basketball players are going to be returned to the U.S. after having been detained by the ChiComs for shoplifting. “Three UCLA basketball players arrested in China for allegedly shoplifting while their team was in the country for a tournament last week have been released and were flying back home today.” Trump did it. Now, you might say, “Trump didn’t do it. The ChiComs made a big show out of holding ’em, but they were always gonna let ’em go.” Really? You know that? I’m just telling you, this trip that Trump has finished and is now on the way home from was a killer economic and foreign policy trip. You’re not gonna hear about it. The Drive-Bys may themselves not even know. I mean, they had some reporters on the trip, but this stuff isn’t gonna be reported as it actually happened. The last thing that can happen is Trump be given credit for anything. About all you’re gonna know about this trip is that Trump shook hands with Putin and that Putin looked like he owned Trump and that Putin looked like Trump was just a little puppy dog almost embarrassed to be in Putin’s presence, ’cause Trump knows that Putin is so much smarter and so much tougher. That’s about all you’re gonna hear about what happened on the trip. But don’t doubt me: It was a great success. RUSH: We’re gonna start in Los Angeles with Eddie. I’m glad you called, sir. Welcome. It’s great to have you with us. CALLER: Maha Rushie, you are the godhead. RUSH: Thank you, I appreciate that. RUSH: Well, what you have to realize any time you’re gonna deal with them is that whatever the end is, it has to be something they can say to everybody else and themselves that they won it, that they won the negotiation. If there is mutual benefit in the deal, the mutual benefit has to greatly benefit them far greater than the other participants in the deal. The point is that the Chinese do not approach these things like westerners do. The don’t start out with throwaways. Let’s put it that way. A common negotiating technique in the United States, let’s say you’re in negotiations for a new employment contract where you work. And you want $25 million and access to a King Air, you know, prop jet airplane. But instead you go and ask for $50 million and a Boeing 727 or a Boeing 737 knowing full well you’re not gonna get it, those are throwaways. You build in things that you really don’t think you’re gonna get and you don’t really want, you can throw them away to look like you are negotiating, to look like you are giving something up. ChiComs don’t do that. They just tell you what’s gonna be, what is. You have to know them going in to deal with them this way. And they don’t respond to your throwaways. They know full well — look, it’s cultural mind-set differences. The definition of a successful negotiation here is where both sides give something up and maybe neither side is really totally happy, but that’s a great deal. Not to them. They’re not happy giving anything up. 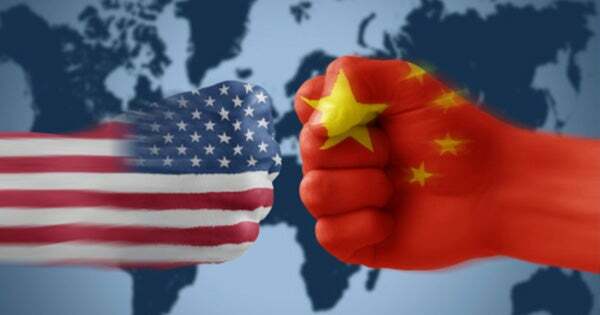 Snerdley asks, “How do you get stuff out of ’em?” You have to be able, when it’s all over, the negotiations, whatever you’re doing with the Chinese, at the end of it, whatever happens, they have to be able to say the benefit to them is undeniable. Now, remember, Trump started out on the campaign trail telling us he’s gonna be tough. The ChiComs have been getting away with murder ’cause Americans are so stupid, but those days are over. The free ride of the Chinese is over. So they’ve been hearing that for two years. So they’re expecting Trump to come in and strip everything away, take away all the benefits they have, all the advantages. He didn’t do that. He gave ’em favorable trade deals but they have to help us with Kim Jong-un. So neutralizing Kim Jong-un then equals a benefit for the ChiComs. Look , it’s far more complicated than this. I’m trying to tell you this in 20 seconds. Which I did, by the way.